Have you or someone you know suffered from athletes foot? 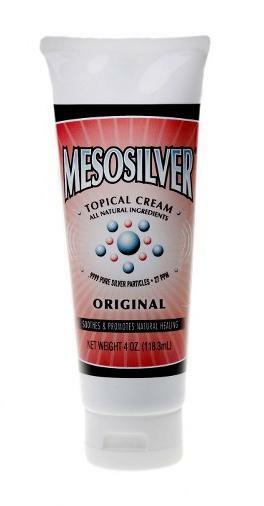 There is a natural remedy that works wonderfully, and it’s called, “MesoSilver Topical Cream.” I know first hand this can clear up athletes foot and if it is coupled with spraying of your footwear with a MesoSilver spray there is double protection to stop the fungus in its tracks. Of course, if you have a problem with athletes foot then you have an over-growth of fungus of candida and probably should consider taking steps to cleanse your internal terrain. 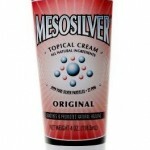 This cream is topical only and not for internal use. I do not profit from this product it is just one that I use for many skin condition and have given to family and clients to use as well because it works. I purchase mine from Purest Colloidals. Psoriasis is a type of chronic Skin disease in which itchy scaly red patches form on the elbows, forearms, knees, legs or Scalp. It is characterized by thickening of the Epidermis which reveals bleeding points upon removal of the scale. The underlying cause of Psoriasis is uncontrolled Cell growth. Normally, Keratinocytes (a type of Skin Cell) have a life cycle of 28 days. Fourteen of those days are usually required for the Keratinocyte to fully develop and move from the lower layer of the Skin to the outermost layer. During the remaining fourteen days the Keratinocyte dies and is sloughed off. During Psoriasis, Keratinocytes have a significantly accelerated life cycle, migrating to the surface in only four days. Psoriasis is regarded as an (organ-specific) Autoimmune Disease. Psoriasis afflicts 1% – 3% of the general population. Of this 1% – 3% of the general populaton, the Scalp is affected in approximately 40% of cases. Increased level of candida, or candida outgrowth, enables the yeast to break down the intestinal walls and enter the bloodstream. In this way the yeast releases toxic byproducts into the body. Eventually, this leads to different health problems, ranging from digestion problems to depression, and in some cases even cancer. Mold toxins are found in foods such as grains and peanuts. Far more serious are the mold toxins found in buildings and vehicles with water leaks. Buildings with flat roofs and buildings on a concrete slab are ready-made for mold problems. Mold toxins are the most common of the biotoxins and are responsible for many if not most of the symptoms of many Lyme disease patients. When a building has a water leak or water damage that is not immediately corrected, molds such as Stachybotrys, Aspergillus, Acremonium, Actiniomycetes, Penicillium and Chaetomium are likely to start colonies. The colonies may be visible or they may be hidden in places such as the tops of ceiling tiles or the bottoms of carpets. The molds send out spores which contain powerful biotoxins that are nerve toxins or neurotoxins. A study by Harvard University found that fully half of the homes studied had enough mold to cause symptoms. And we have found that many cars are contaminated. When these spores with their neurotoxins are inhaled, about 76% of the population can make antibodies to the toxins and quickly eliminate them. They may sneeze, have a sore throat or have other minor symptoms, but symptoms are temporary. If they spend several days in a moldy building, they may begin to feel sick, but when they are away for a few days they recover. About 24% of the population have a genetic makeup that makes them unable to produce the needed antibodies for mold toxins. The body simply does not adequately tag the toxins as invaders and it does not eliminate them. The liver can send them to the digestive tract via the bile, but they are quickly reabsorbed back into the blood. The result is that continual or repeated exposures to mold toxins result in an ever increasing amount of these toxins in the body. Those who can actually smell musty odors where they live or work usually have the worst mold toxin problems. It is estimated that 10 million American children are being exposed to mold toxins (many are medicated with Ritalin as a result) and around 25 million Americans have some degree of mold toxin illness. It is also common to have a genetic makeup that does not detoxify Lyme toxins and many cannot detoxify either mold or Lyme toxins. If they have Lyme disease, Lyme toxins also build up in the body. These are the people that get very sick and stay sick when they do frequency treatments for Lyme. FOR THOSE WHO GET MAJOR PROLONGED DIE- OFF REACTIONS, FREQUENCY TREATMENTS FOR LYME ARE NOT RECOMMENDED UNTIL THE TOXIN ISSUE IS ADDRESSED. If a body is dehydrated it will actually retain fluid and when the body retains fluids in a state of dehydration, it is also retaining the toxins that those fluids were supposed to eliminate. This increases the level of toxins in your tissues, and sets the stage for chronic disease and premature aging. Fereydoon Batmanghelidj, M.D., an expert on water and author of an excellent book, “Your Body’s Many Cries for Water”, points out that the body has no water- storage system to draw on in times of need. And those parts of the body most acutely affected by a water shortage are the areas without a direct blood supply, particularly cartilage in the joints. Painful joints, including those with arthritis in them, can be a result of inadequate water intake. I can attest to the above information first-hand. I’m 61 and 42 years ago I was involved in a tragic auto crash where two people died, and myself battling for my life. I won’t go into all the details but I had numerous broken bones. According to all medical professionals if you have a traumatic injury, especially one that involves fractures, arthritis is automatic and worsens as you age. I do not suffer from joint pain unless I forget to drink water. I’ve discovered that if I drink my regular daily water amount, which isn’t always the recommended amount per my weight, but usually is 40 to 50 ounces a day I am pain-free. If I only consume about 25 to 30 ounces a day I am basically still pain-free but with an occasional pain here and there, which is my cue that my water drinking is reduced and if I continue with a reduced intake of water the pain will increase. Drinking water is one of the most simple ways to improve health but can be the most difficult to accomplish, especially as we age. Thirst turns out to be a poor indicator of whether or not you have an adequate level of water in your body. A 1998 article in the American Journal of Hospital Palliative Care dramatically points this out. The researchers reported that fluid depletion, even in severely dehydrated, dying people resulted “in relatively benign symptoms,” of which thirst was not a common one. This is an indicator that we need to systematically drink water because our body needs water and not use thirst as the signal that prompts us to drink. I keep a glass bottle of fresh pure water by my side at all times so it is readily available. This is a reminder to drink water and increases my likelihood of drinking my daily requirement. If I need a more serious approach to drink water because I’ve gone too long without drinking my minimum of daily water I put a timer watch on my wrist and set it for 30 mins. When the timer goes off I drink approximately 4 ounces of water, and I do this from arising in the morning until I consume my daily requirement of half my body weight in ounces, which usually ends in the evening. It takes 3 days of systematically drinking water to rehydrate the body if it is dehydrated. Quick tip: The next time you think you are hungry, drink a glass of water first, often we give our body food when it is simply asking for a glass of water. It is estimated that at some point in their lives 1 in every 3 Americans will have an outbreak of shingles – a viral infection caused by the varicella-zoster virus, the same virus that causes chickenpox. The medical term for shingles is ‘herpes zoster’. After you have had chickenpox, the virus becomes dormant in your nerve tissue, but it can be reactivated years later as shingles. It is more common in adults between the ages of 60 and 80 and those with weakened immune systems.